Orlando, FL – February 19, 2018 — EasyVista Inc., a global leader in IT Service Management software, showcases its new product, EasyVista Self Help, at Pink18. The new product has proven to dramatically reduce requests and increase user satisfaction by empowering users to solve their own issues with an interactive experience. 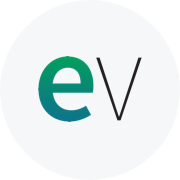 Going beyond what a traditional knowledge base allows, EV Self Help uses dynamic decision trees that delivers answers in a more natural, logical way on desktops and mobile devices. These intelligent knowledge processes can be integrated into portals and virtual assistants, or chatbots, to enhance the self-help experience.